Jimmy Buffett has been hospitalized in Sydney, Australia, for an apparent head injury after falling off the stage at a concert on Wednesday night. 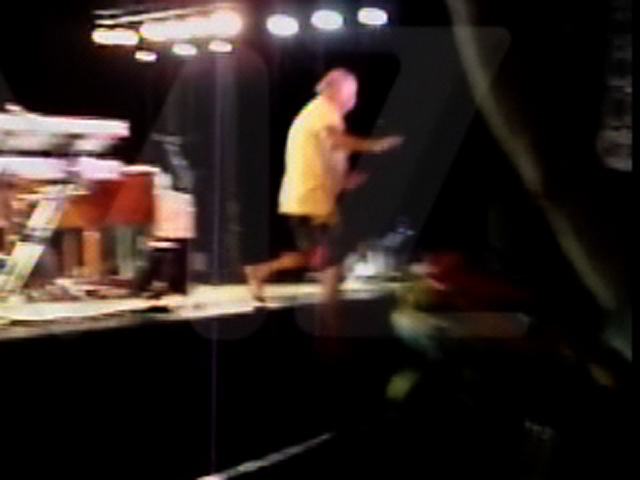 TMZ obtained footage, which reportedly shows Buffett walking to the front of the stage, and then slipping off the edge. TMZ reports Buffett was taken to St. Vincent's Hospital in Sydney and is in stable condition.